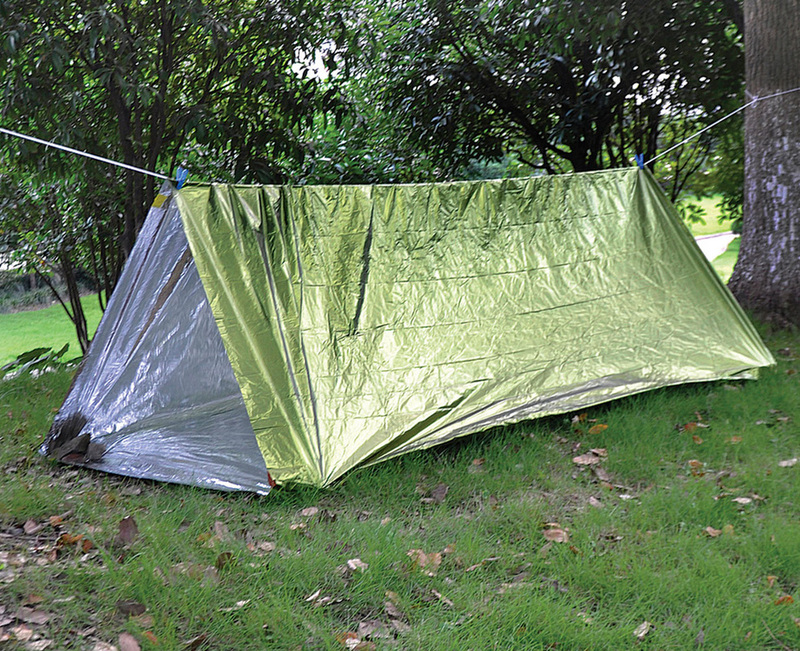 The AceCamp Tube Tent is a lightweight emergency shelter. Sets up in minutes. Room for two people. 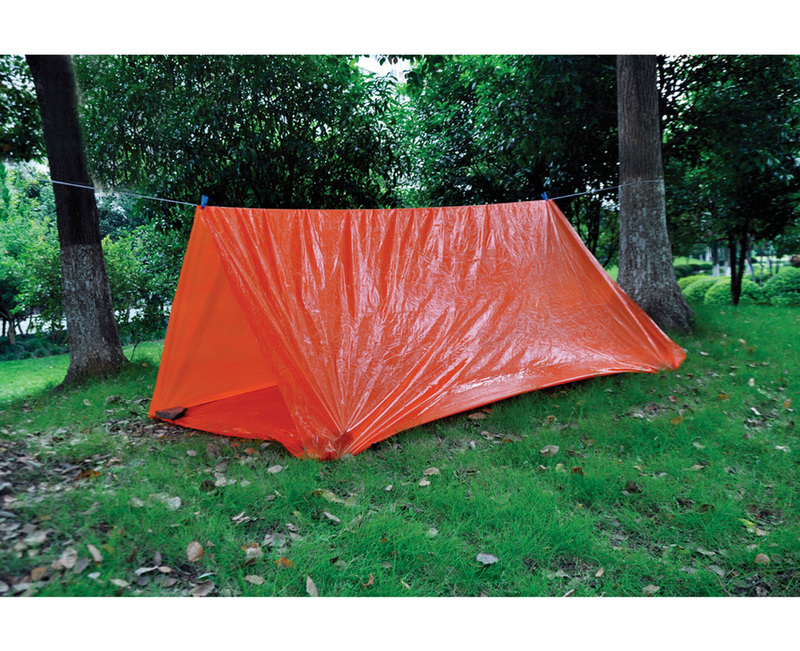 Made of rugged 2.5 mil polyethylene. Fire retardant. Cord and instructions included. 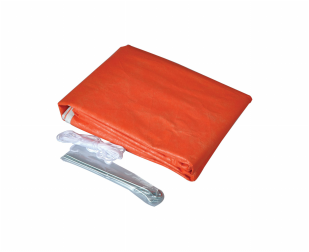 Also useful as ground sheet or tarp. 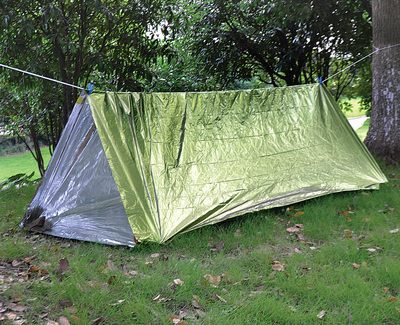 AceCamp Tube Tent is a lightweight emergency shelter. Sets up in minutes. Room for two people. Made of rugged 2.5 mil polyethylene. Fire retardant. Cord and instructions included. 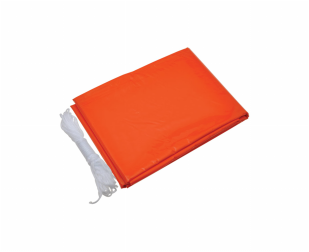 Also useful as ground sheet or tarp. 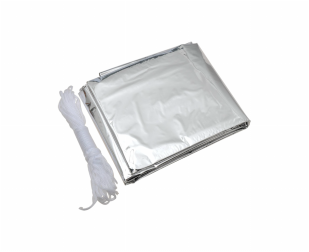 Available in two great colors, silver and green. 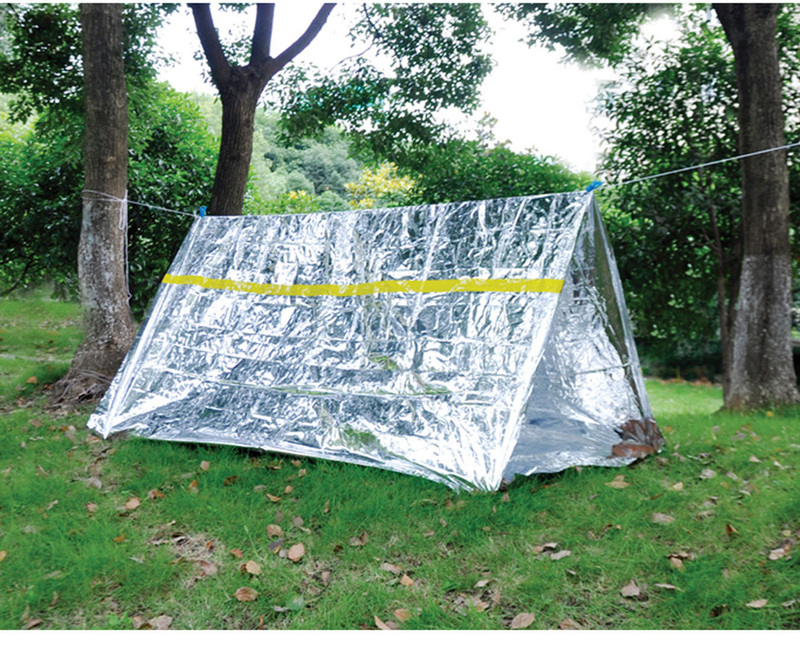 Multi-layer reflective tent. Lightweight and durable emergency shelter. Reflects body heat to keep warm. Easy set-up with stakes and rope (included). 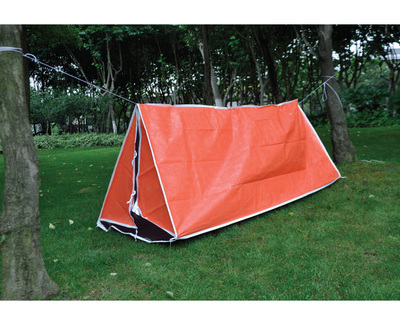 Windproof and waterproof. Essential item for any outdoor activities. Color: orange.